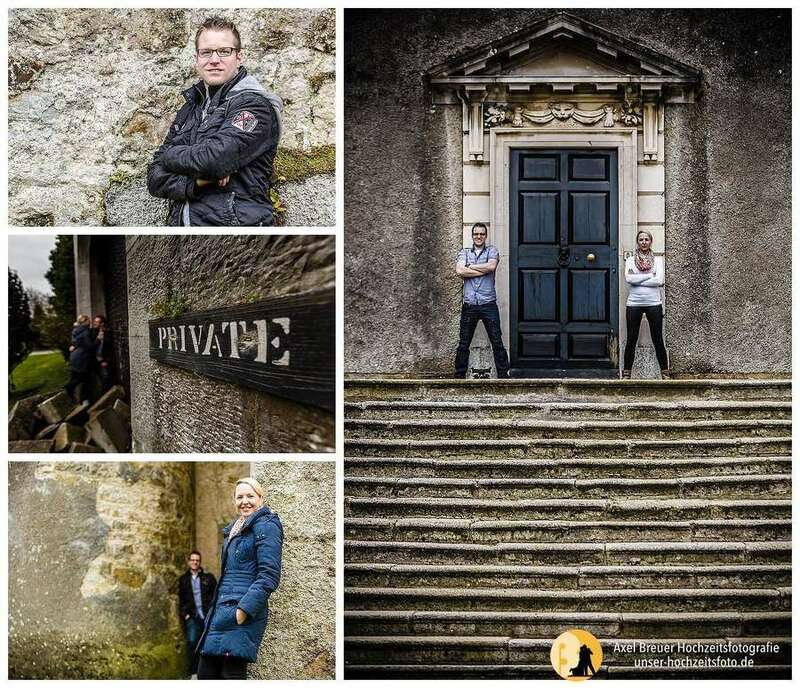 Ihr hattet ja schon einen kleinen Vorgeschmack bekommen, hier jetzt endlich der Blogeintrag zu Ninas und Tims Engagementshooting in Dublin. und genossen den frühen und angenehm frischen Tag mit Blicken auf´s Meer. 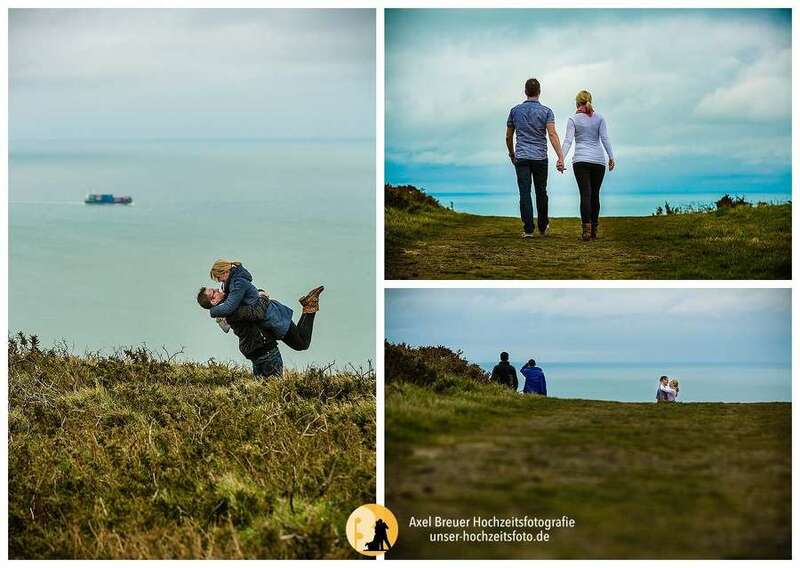 war der Höhepunkt unseres Ausflugs sicherlich Howth Summit, das wir Euch im Appetizer schon fotografisch vorgestellt haben. bis zum Guinness Brauhaus. Die umgebenden Gassen verströmen den Flair alter Bierkutscher-Zeiten. Kein Wunder, dass hier auch eine Haltestelle der Dubliner Kutscher ist und die Umgebung bestens geignet für besondere Paarfotos ist. Zu Fuß ging´s dann weiter, wieder zurück Richtung Zentrum. Wie in jeder Hauptstadt, lässt sich auch in Dublin an so ziemlich jeder Ecke fotografieren, überall entdeckten wir interessante Spots und fotogene Ecken. am Vorabend zu St-Patricks-Day doch noch einmal in Temple Bar, dem Dubliner Kneipenviertel, hinein zu schauen. Und ganz ehrlich, hier scheint immer die Post abzugehen. Und da sowohl die Dubliner Jugend, als auch mein zukünftiges Brautpaar Nina und Tim ein sehr kontaktfreudiges und lustiges Völkchen sind, könnt Ihr Euch sicher vorstellen, dass es noch ein lustiger Abend wurde. You already got a little taste, and here and now is finally the blog entry to Nina and Tim’s engagement shoot in Dublin. Dublin is not large, but Dublin is spacious, like the most major cities in Europe. On St. Patrick’s Day, we didn´t want to leave the city, but where to shoot the day before, when no one knows the city? Nina knew from a previous visit, that there a the small idyllic village named Howth, north of the city on a small peninsula. So we sat down, after a short, attention-grabbing (;) photo shoot at the station, along the train to Howth. After a short trip to the nearby castle, we visited the highlight of our trip, Howth Summit , which we have already presented to you in Appetizer photographically . Back to the city we went with a Wedding Bus, a special bus, which is still used in regular operation in Dublin Bus Corporation. We took this bus to Guinness brewery. The surrounding streets exude the charm of old „Bierkutscher“ times. No wonder that there is also a stop of the Dublin coachmen and the surrounding area is well suitable for special couple photos. By foot we went back towards the center. As in any major city, every corner is pretty to be photographed, so in Dublin, everywhere we discovered interesting and photogenic spots. Our tour ended at the River Liffey, which divides North Dublin city from the south. Then we realized yet clear „fluid loss“ and decided to have a look at Temple bar, Dublin’s bar district on the eve before St Patrick’s Day. And since both the Dublin Youth, as well as my future bride and groom Nina and Tim are very joyous and funny little people, you can certainly imagine that it was still a fun evening.